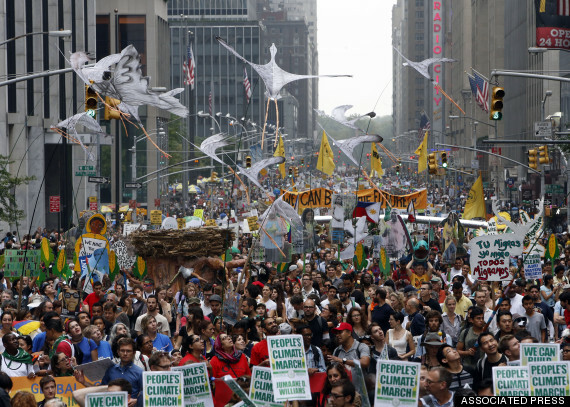 NEW YORK -- More than 400,000 people turned out for the People's Climate March in New York City on Sunday, just days before many of the world's leaders are expected to debate environmental action at the United Nations climate summit. "We need to act now ... We only have one atmosphere and we of the Marshall Islands only have one land to call 'home,'" Kathy Jetnil-Kijiner, a young mother from the island nation, said before the march. "We don't want to move and we shouldn't have to move."